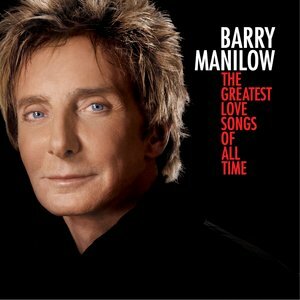 Grammy, Tony, and Emmy Award-winning recording artist Barry Manilow teams up once again with his longtime collaborator, Arista Records founder Clive Davis (now Chief Creative Officer, Sony Music Entertainment) to record a brand new studio album entitled THE GREATEST LOVE SONGS OF ALL TIME, set for release on January 26th. On THE GREATEST LOVE SONGS OF ALL TIME, produced with Michael Lloyd (Somewhere in Time and Dirty Dancing), Manilow presents loving interpretations and arrangements of classic, nostalgic love songs for the Manilow and music fan alike. The album selections include jazz and American standards, as well as songs from the “Great White Way” and silver screen including: Irving Berlin’s ”How Deep Is The Ocean,” “You Made Me Love You” (written by James V. Monaco), Fats Waller’s “I Can’t Give You Anything But Love,” “When You Were Sweet Sixteen” (written by James Thornton and revived and popularized by Al Jolsen in 1929), “The Theme From Love Story (Where Do I Begin)” (written by Francis Lai), “Nevertheless, I’m In Love With You” (written by Harry Ruby), Gershwin’s “Our Love is Here To Stay,” and “It Could Happen To You” (written by Johnny Burke and Jimmy Van Heusen). The album also features great renditions of “The Look Of Love” (written by Burt Bacharach and Hal David), “We’ve Only Just Begun” (Written by the songwriting team of Roger Nichols and Paul Williams), and “The Twelfth of Never” (written by Jerry Livingston and Paul Francis Webster). “The real joy in creating this album was taking these classic songs that everyone knows and using my chops as an arranger to deconstruct then recreate them to make them my own,” explained Manilow.